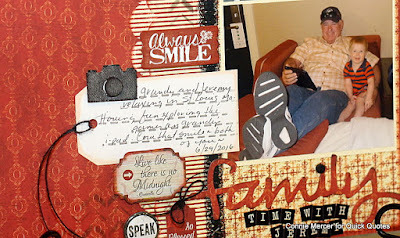 Hi, Connie here with a scrapbook page using the Earth Wind Fire Collection (coming soon) by Quick Quotes. Can't wait to share the full collection with you. Consider this a sneak peek! Instructions to this are easy. 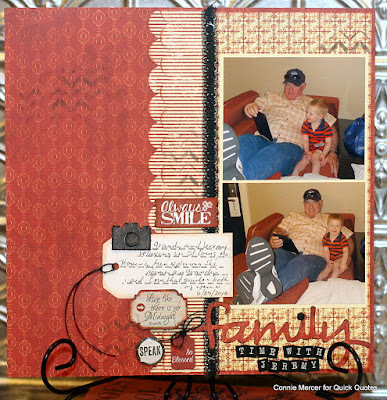 Use a favorite border punch to create a fun border and then punch another one. So, two punched borders. 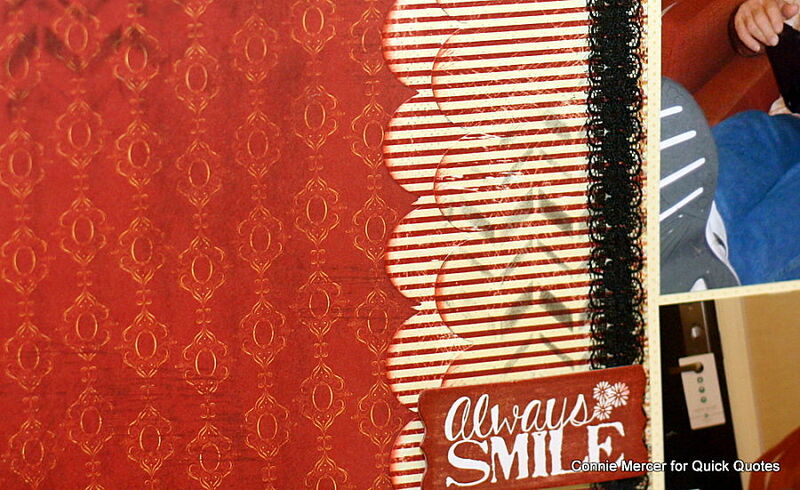 Shade both of the borders with PowderPuff Chalk Inks. I'll list the ink names at the end. 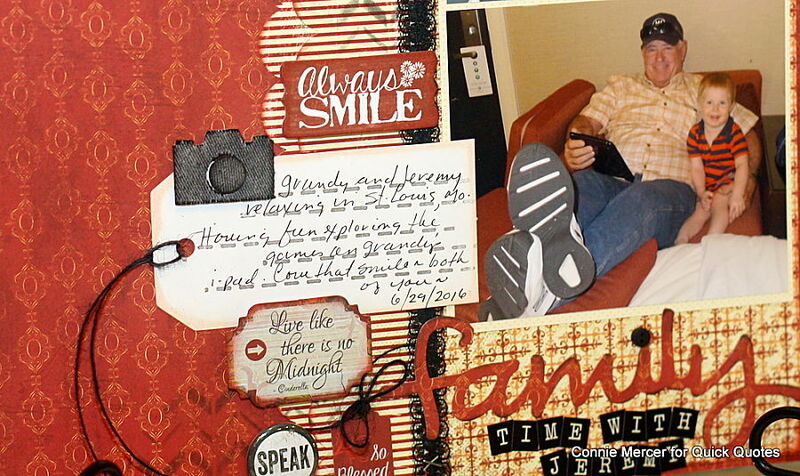 Over lap them and adhere them to the side of the strip of paper, that has the photos on it. Add color to the small camera embellishment using PowderPuff Chalk Ink. Set aside. 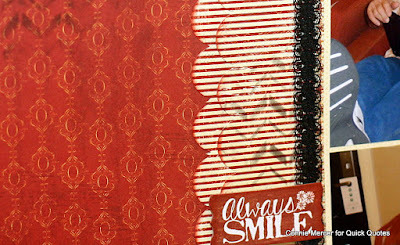 Using a stencil and PowderPuff Chalk Ink a chevron design was stenciled in random places on the pattern paper. Collage the stickers at the bottom and title your page. 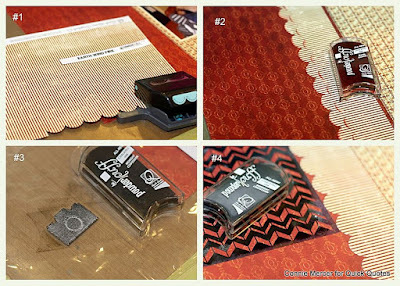 Other: Twine, stickers, metal die (family), small embellishments and trim.